No mess, no cleanup. The only down side is it does evaporate VERY quickly, so you have to be fast in your mounting. This is a great mounting fluid for drum scans. Make sure to use the proper Kami tape (sold by Aztek) as the fluid will eat up any other kind of tape. The fluid dries very quickly and if you pull the film off the drum correctly it will not leave any residue. I'm using a DSLR to "scan" some old B/W 35mm negatives. The negatives are in rough shape. Wet scanning with Kami SMF2001 Scanner Mounting Fluid and the 4mil mylar has allowed me to rescue negatives that had serious spotting issues. All the white specs are gone, scratches diminish. I'm very happy with the results. As a reference point, years ago I scanned these negatives using a Nikon dedicated scanner and got good results with some films, but others proved unusable. Those unusable films I now get wonderful results when wet scanning. The resulting scans require much less touch up than I'm used to. 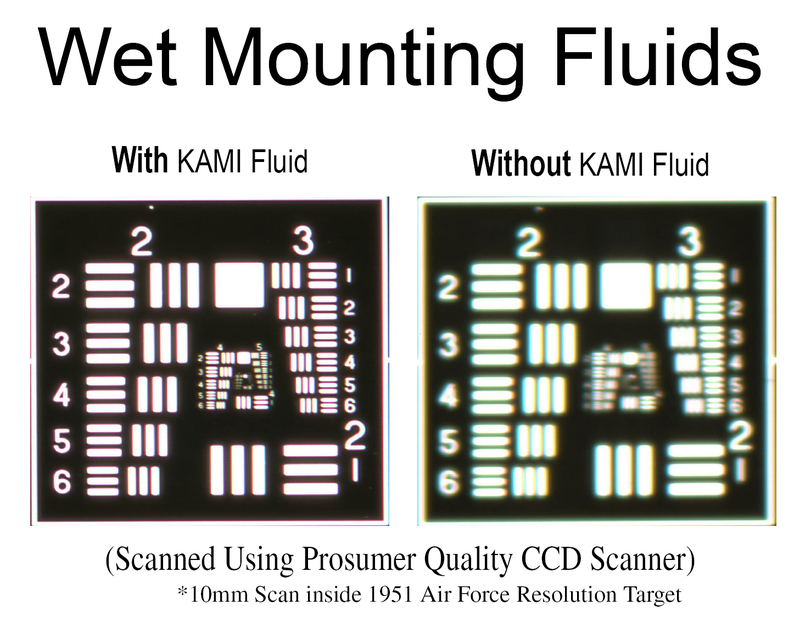 Click the button below to add the Kami SMF2001 Scanner Mounting Fluid 1 liter to your wish list.